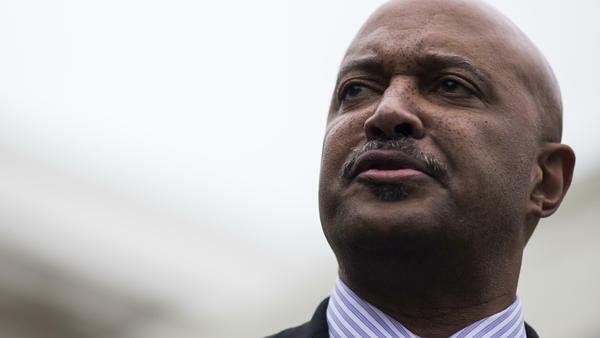 Four women, including a state lawmaker, have accused Indiana Attorney General Curtis Hill of sexual misconduct. Hill denies the charges and has called for an investigation. Indiana Attorney General Curtis Hill said on Friday he would not resign and instead demanded an investigation into sexual misconduct allegations against him. "I am not anonymous. I am a wife, mother, business owner, and a State Representative. I am also a victim of sexual battery, perpetrated by Indiana Attorney General Curtis Hill." In a press release shared on Twitter Friday afternoon, Hill called for a "fair and thorough investigation into allegations of off-hours misconduct lodged against him by accusers." Hill also said he would not leave his post, something that lawmakers in the state have increasingly called for in the past few days. "I am not resigning," the attorney general declared on Friday. "The allegations against me are vicious and false. At no time did I ever grab or touch anyone inappropriately. The lack of fairness and the failure to recognize my constitutional rights are a complete travesty." The accusations against Hill became public Monday, but none of the four state legislative leaders — from either party — called for Hill to resign at that time. Tuesday, Democratic Senate Minority Leader Tim Lanane changed his tune; he and his caucus said Hill should go. Gov. Eric Holcomb, vacationing in Montana, said he would gather the facts when he returned. Three days after the allegations came to light, the governor and Republican legislative leaders joined the chorus of voices calling for the attorney general to step down. They said they believe Hill's accusers. "Four women had the courage to step forward to report sexual harassment by the Indiana attorney general," said Holcomb in a statement Thursday night. "The findings of the recent legislative report are disturbing and, at a minimum, show a violation of the state's zero-tolerance sexual harassment policy." In a statement, state Republican legislative leaders Sen. David Long and Rep. Brian Bosma said sexual harassment is unacceptable at any time. "Curtis Hill is not our employee; if he was, he would already have been fired," Bosma and Long said. "Because we cannot terminate his employment, we ask instead for him to own up to his actions, apologize publicly to the victims, and tender his resignation immediately." In May, Eric Schneiderman, the attorney general of New York at the time, resigned after four women accused him of allegedly abusing them. An investigation is ongoing in that case. Lawmakers in statehouses across the country, as well as in the U.S. Congress, have resigned or been asked to step down after claims of sexual harassment. Hill was elected in 2016. He previously served more than a decade as a county prosecutor in northern Indiana and was considered a rising star in the state Republican Party.